A common question from new eClass users is “How do I tell read from unread posts in a forum?” Tracking unread forum posts can be setup from within your profile to track unread posts for all forums on eClass where the instructor has enabled read tracking. 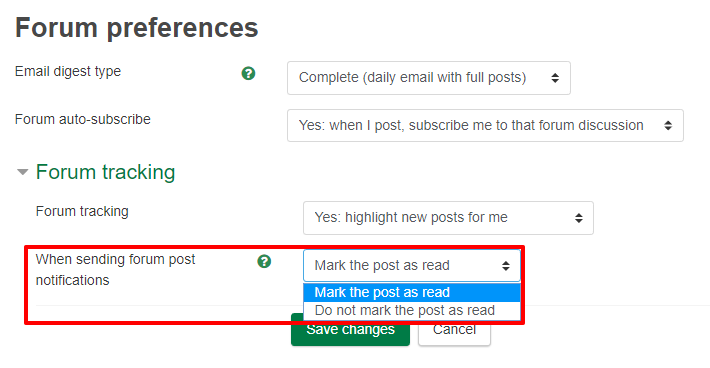 Please note that it is no longer possible to enable/disable read tracking for individual forums. 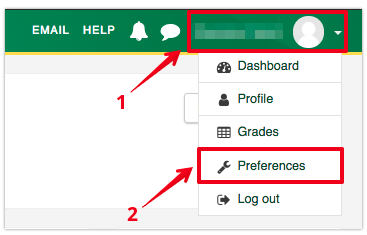 To change this setting, navigate to the user dropdown menu by clicking on your name in the top right corner of eClass and select Preferences. From your preferences page, select Forum preferences. In this section there are two dropdown options. For the Forum tracking options, choose Yes: highlight new posts for me. Be sure to click on Save changes near the bottom of the page so that the changes you have made take effect. After enabling read tracking, unread discussions and posts will be highlighted when viewing a forum. All discussions in a forum can be marked as read using the checkmark icon at the top of the Unread column.